Almost 100 years ago, in April, 1912 during the sinking of the Titanic, the ship's radio operators sent out distress calls begging for help. They intermixed "CQD" and "SOS" distress calls, hoping someone would respond. French was, and still is, the official language for international postal services. The letters CQ, when pronounced in French, "sécu", resemble the first two syllables of sécurité, and were therefore used as shorthand for the word. It is still used in this sense in international telecommunications. In English-speaking countries, the origin of the abbreviation was popularly changed to the phrase "seek you" or, later, when used in the CQD distress call, "Calling all distress". CQD appears to have died out shortly after this event, but SOS has lived on into today in popular culture. According to the Oxford English Dictionary, the letters SOS were chosen because they are easily transmitted in Morse code; a continuous sequence of three-dits/three-dahs/three-dits, all run together without letter spacing. They were not an abbreviation, acronym or initialism for "Save our Ship", "Send Out Succour", or "Save our Souls". These were 'backronyms,' and came into popular use after SOS went into effect. Today, marketers can rescue their business from its distress by intelligently applying content to their blogs, websites or tweets. Their key to success is as simple as S.O.S. : Solve Or Share. But leave out the "sell"
Your blog should focus on your customers. Solve their problems; share your resources. Don't sell. As tempting as it may be to force yourself on your customer once you make a connection, resist! In the movie War Games, Mathew Broderinck's character needed to 'break into' a computer (the WOPR) in order to prevent WWIII. The generals all stood by and watched as he chatted with and coerced the computer to play a game with him. As soon as he accessed the game, the generals jumped in and tried to manipulate the WOPR and it immediately shut them out. He had more work to do to get back int he good graces of the WOPR, which he did, and saved the world. Like those generals, marketers are anxious to force themselves and 'news' about their company, products and services as soon as any tenuous connection is made with a consumer/customer. But that won't engage prospects or attract customers. You need to write about what they care about. What should you include? Ask your sales force or customer service staff about the problems or questions they frequently encounter. What search terms are popular on your site? Think like a customer, or a reporter, not a salesperson. When the Titanic was sinking, customers wanted to know where to get a life-jacket and how to find a lifeboat. They were not interested in the total tonnage displacement of the ship, or how many years of brilliant service the captain had under his belt. Give your customers what they want and need, and it'll be smooth sailing. ----------------------------------- A new truth about the sinking of the Titanic? Micolending was a great idea. In theory it enables extremely impoverished people to engage in self-employment projects that allow them to generate an income and, in many cases, begin to build wealth and exit poverty Organizations like Accion, the Small Enterprise Foundation and Kiva.org have been providing these opportunities for years now. It's all been said. But were you listening? The very best companies have built their business on the backs of customer satisfaction. It's the "number one rule" in business. We increasingly live in a customer-centered market economy. Developing a strong marketing message that resonates with that specific group of people, and providing useful content related to your customer's needs, helps to build your credibility amongst that target market. You’ll be perceived as someone who specializes in that product or service. In effect, you'll become the “go-to” authority when someone is looking for solutions in your particular area. While you develop your marketing message, think of the best way to communicate your differentiation. What would motivate someone to buy from you rather than someone else? And what do your prospects and customers want to know? ...need to know? What social media has taught us is that a good conversation with your market can go a long way to making your business successful. And every good conversation starts with good listening. What the people need is a way to make them smile. What exactly do you do with content? I am not asking those of you who write, design, produce, create, edit, shape, film, review, strategize, draw or otherwise "make" the content. This is a question for those who have recoiled at the term 'consume' and are tired of being referred to as consumers. Marketers are quick to label people and their actions, but to me at least, this term rings true. While the first definition of consume is usually "to expend" (consuming gas, air, energy) the more appropriate use in this case has been "to use". When it comes to content, reading is using. Watching, listening, looking is using. Using is using. How else can we refer to what we do with content if we don't "consume" it? Here is a word cloud of some other options. Sure, you can appreciate content. You can absorb it. Assimilate or enjoy it. But I'd say these are redundant to the idea of consuming. We do consume. We are consumers. Bottom Line: When it comes to content, after all is considered, the Consumer is King. Hors d'oeuvre is an 18th century French term meaning, literally, "apart from the main work". Originally, according to William and Mary Morris' Dictionary of Word and Phrase Origins, it was an architectural term referring to an outbuilding not incorporated into the architect's main design. It was adopted by the culinary elite to describe dishes served apart from the main course. For marketers, content marketing is an appetizer, an hors d'oeuvre, meant to attract the attention of the customer. It must be fresh, rich, attractive and tasty...but not filling. The customer must remain hungry for the next big bite. Keep a fresh supply quality content on your table -- attract more qualified, interested clients. 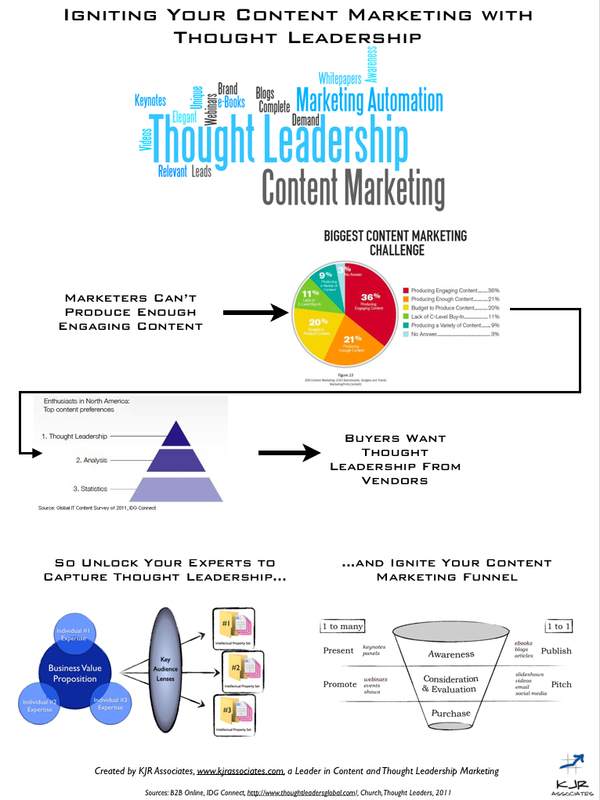 This infographic is a grand display of how content works for you. Your business needs customers. It has to attract new customers to survive and grow. You could do worse than to hire a bartender. No, you don't have to have a happy hour at your workplace everyday (though it might not hurt). But in many instances, a bartender acts as more than a service employee selling the products the business offers. Bartenders can act as a social medium for the business, engaging customers, and with more than idle chat or flirtation. Bartenders engage customers, and through that engagement, customers will often buy another drink, decide to stay for dinner, accept suggestions to try the special that day, or choose to come back again, simply because of the positive experience they have had with the bartender. That experience extends beyond talk of food and drink. Customers depend on bartenders for--as Billy Joel sang-- 'a good joke and a light of your smoke', as well as local information (a good bookstore, the hot clubs, the nearest gas station), service (making change for the jukebox, calling a taxi), entertainment ("How 'bout those Cougars/Cowboys/Wizards? etc.) and opinion ("Well, of you ask me..."). Bartenders as content. But the most valuable service a bartender can provide to the business owner is listening. Hearing what the customers want-like-need (or don't) is a critical pipeline of information that other companies pay dearly for. Customers who would never seek out a host or manager to complement or complain about something will open up easily to a bartender, given the unthreatening peer relationship they share. Maybe you don't want to recruit your social media staff from T.G.I.Friday's, but if your next candidate has a bartending job in their past, you might want to give them strong consideration. Market the business. Target the customer. Repeat. Business to business marketing on the increase. These days, B2B merchants are increasing their online marketing to efforts to appeal to all levels of a "client organization". The latest survey from Sagefrog finds about 40% of B2B operators will increase their marketing budget in 2012. Another 56% will not change marketing expenditures and the remaining 4% say they’ll cut these expenses. Last year, the survey results indicated 11% of firms planned to cut marketing budgets. I don't know your company's products. Marketing is all about taking off the blinders that your love of your product and/or service has created. Instead, you need to take a look at the world through the lens of the customer. What is the value of your product and service to the customer? The more they learn, the more they know. The more they know, the more they forget. The more they forget, the less they know. Tell your story. Teach your lessons. Engage your customer. One of the many traditions at Hope College in Michigan is a tug-of-war over the Black River between freshmen and sophomore teams called The Pull. For more than 100 years, classes have trained to go head-to-head in order have the rope go their way, and ultimately make their opponents "all wet." There are many lessons to be learned in training and preparing for this contest perhaps most importantly that no individual "wins" this game. It is truly a team effort that requires precision, timing, and the collective repetition of simple yet strenuous tasks over and over again, fighting against exhaustion, distractions, and your inner voice often telling you to quit. Marketing efforts, like social media, can challenge us the same way. Social media is a pull marketing strategy. Unlike traditional marketing, social media isn’t supposed to push your services and company information at people hoping they will buy. Customers largely react negatively to that sort of bullying. Pull marketing is where you use your muscle to provide valuable information to your potential clients that answers what they want to know (targeting their "pain points"). This gets their attention and helps build trust in you. It follows that they will come to you for help. So what is the first step in a pull marketing strategy? Content. Content is the key and if you don’t have great content, you probably won't be as successful as you hope. How do you develop great content that will lead your customers to your products and services? Provide value. You need to show your leads that you are expert in what they need help with. Give away some basic information for free. When they use this information and it works for them, they will come to you to help them. So what is the purpose of social media? Social media is about showing that you are an expert on a subject and establishing yourself as a thought leader in your field. This will attract people to your brand. Because you are willing to offer value upfront, people will be drawn to your paid products and services when they are ready because they will remember that you helped them solve a pain point in the past. Although simple in concept, "pulling" customers your way is a long and challenging road. You are competing with all your competitors who are pulling against you in the opposite direction. You are also pulling against the constraints of your customer's attention, time and trust. But in the end, pulling customers your way is a wining strategy, worthy of the time and effort for just about every business. "How many years experience do you have managing left-handed proofreaders, and proactively fixing split infinitives in a high-pressure B2B financial services company within a highly-matrixed but siloed environment with a lot of corporate ambiguity?" While this is not exactly what I've seen or heard, too many times I am puzzled by the specificity of the qualifications that employers are seeking to fill positions. Master carpenters work with wood and can handle anything you throw at them, whether or not s/he has ever built a kitchen armoir under a pot rack in a Byzantine-styled kitchen in Connecticut...with child-locks. "The danger is that we shall become a nation of pedants. I use the word literally and democratically to refer to the millions of people who are moved by a certain kind of passion in their pastimes as well as in their vocations. In both parts of their lives this passion comes out in shoptalk ... It is not the extent of their information that appalls; it is the absence of any reflection upon it, any sense of relation between it and them and the world. Nothing is brought in from outside for contrast or comparison; no perspective is gained from the top of their monstrous factual pile; no generalities emerge to lighten the sameness of their endeavor." To illustrate, stop by a newsstand and try to find a good general interest magazine. They no longer exist; there are of course many more types of magazines than ever before, but they are so specialized, tabloidized or politicized that you're unlikely to find more than one or two stories in each one that are actually worth reading for anyone other than a fanatic. If you have built castles in the air, your work need not be lost; that is where they should be. Now put the foundations under them. -Henry David Thoreau Hurricane Irene has passed and brought a less-than-expected amount of damage. These types of events are always a glass-half-empty or half-full situation. Are we glad there was less damage than anticipated, or sad about the serious damage that was inflicted? In either case, these events serve as a solemn reminder of our impermanence, of our work's impermanence. Everything we create is a sandcastle, destined to be swept away by a wave, a storm or the other effects of time. So why not take advantage of any opportunity to build sandcastles? As a marketer, that is what I helped to do. Only we took advantages of other people's sandcastles --by creating a sandcastle contest at the New Jersey shore. It promoted the town, the shore, NJ, the sponsor, its associates and the participants. The contest continues to this day, as a social event, where dozens and dozens of participants were and are promoted in their local media as having participated and succeeded ... in building their sandcastles. We just helped put a solid marketing foundation under them, as Thoreau suggested. Marketing the Inn with more than "...everybody's boon companion"
Thenardier, of Les Miserables. He knew his strengths, and he certainly knew his customers and his business. But how would he survive today? The short-sighted tactics he employed were largely lost on his infrequent visitors, and--in his mind at least-- his charm overcame the poor service that his return guests no doubt received ...if they could remember anything of their stay. No doubt Monsieur Thenardier would jump into Social Media today, and he might even be successful, at first. But I doubt the Thenardier brand would have much staying power, do you? But marketing an inn has progressed since the Master of the House oozed his way through his vie miserable. There is good news. See how one Virginia inn used a LivingSocial deal to fill their "house".